If you, like me, find it important to have a good skincare routine and would like to find a way to continue this throughout your makeup, I'm pretty sure this blog post will be of interest to you! 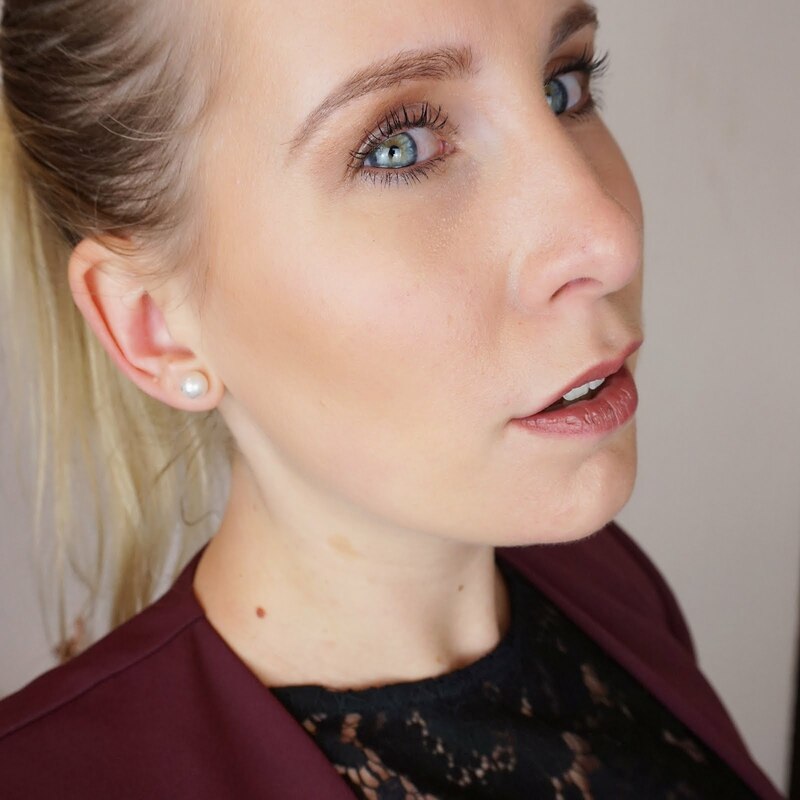 Over the past few months I have been focusing on my skin a lot and have been sharing some tips and tricks on brands offering great skincare and mineral makeup. 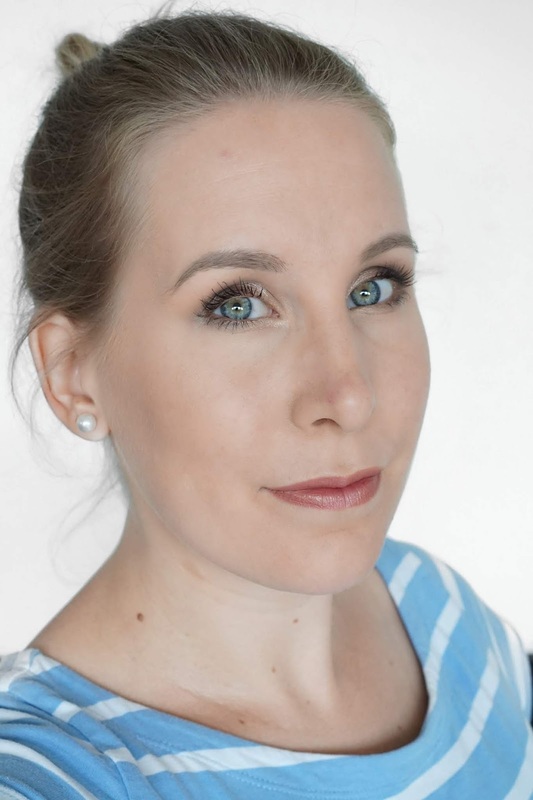 This post, which is the final one in my Skincare to Makeup series, will focus on mineral makeup brand Glo Skin Beauty UK. Don't worry if you've missed the previous two posts on Jane Iredale and IMAGE Skincare, you can catch up here and here. 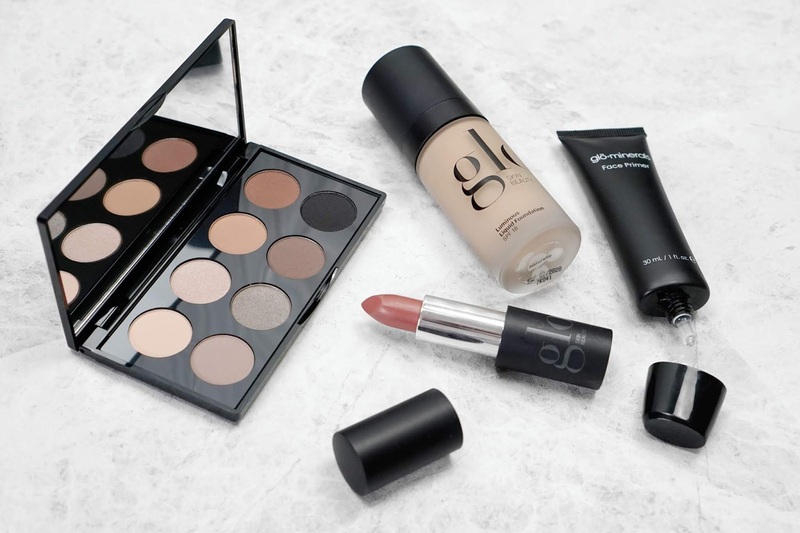 Glo Skin Beauty UK is a brand offering skincare and makeup. Established in 2002 as Glo Minerals, Glo Skin Beauty focuses on healthy, beautiful skin through innovative skincare and nourishing makeup. Glo Skin Beauty sees makeup as an extension of skincare. "Your skin is as unique as your beauty." And I couldn't agree more! Their products are paraben free, do not contain talc and are cruelty free and PETA approved. For this post I decided to do a full face of their mineral makeup and review the quality of the products, how they wear throughout the day and whether they're worth the money. As Glo Skin Beauty are in the process of changing their packaging, you will see some of the old Glo Minerals in the pictures, however the products and their quality are the same. The first step of my full face of makeup consists of the primer. I used the Face Primer, which is a silicone based, spreadable primer that minimises pores. This primer can be used for all skin types and I love how soft and even this primer makes my skin look. It wears well throughout the day, however I do have to point out that I personally think this primer is more suitable for dry/normal skin rather than combination/oily skin as I find that it moves on the more oily parts of my face. The primer contains Dimethicone, a silicone that is quite heavy and tends to leave a smooth layer on the skin. For my combination skin, it does not necessarily feel greasy as such, however it is on the heavy side and I would rather recommend a water/gel-based primer if you suffer from oiliness. The next step is foundation. 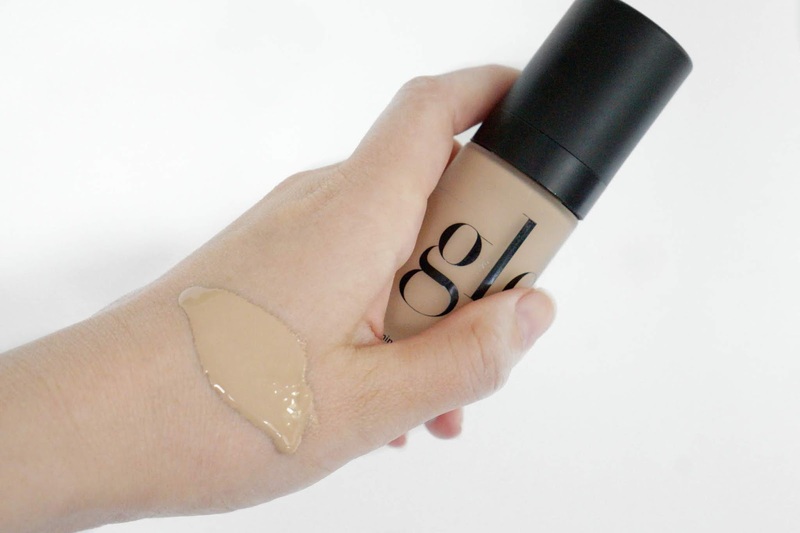 The Glo Skin Beauty Luminous Liquid Foundation is a lightweight liquid foundation that offers medium coverage with a dewy finish and SPF 18. I love how easy this foundation applies and the flawless finish it leaves. I went for the shade Naturelle which is a perfect natural beige for the summer months, but just slightly on the dark side during winter. The foundation comes in a lovely frosted glass bottle which looks expensive but is a bit on the heavy side. Throughout the day the foundation stays put perfectly and does not need any touching up. You can apply the foundation with a brush or with a beauty blender. I've applied mine with a brush and followed up with my beauty blender for that extra flawless finish. If you like it dewy, you can set it with a setting spray or add some powder for a more matte finish. For my eyes I used the Glo Skin Beauty Shadow Palette in Elemental Eye. As you can see on the image below, the shadows generally swatch reasonably well. 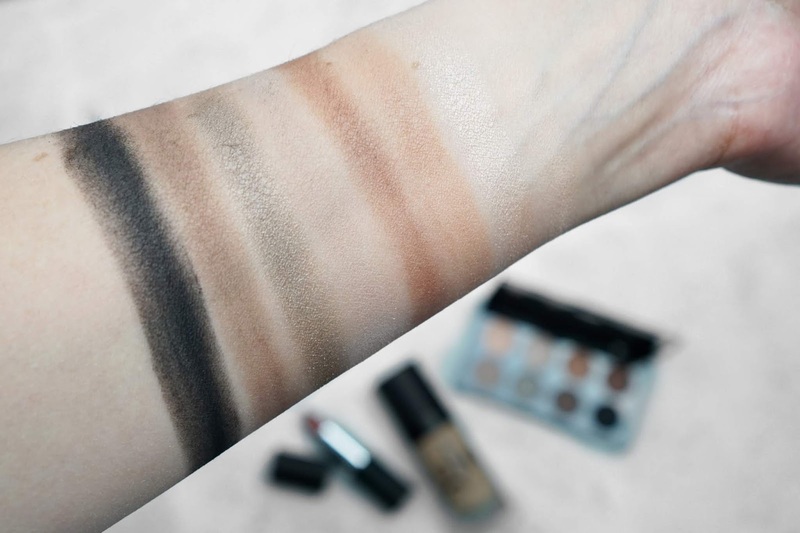 The shimmer and darker shades are quite nice and I do really like the lighter shades but I would definitely recommend using them with a good quality eye primer to make the colour stand out a little as they are not hugely pigmented. The texture of the eyeshadows is super velvety and soft, I do really love that. The fallout is not too bad but be careful when applying the darker shades. The shadows blend really well and I love the natural and smokey looks you can create with this palette. 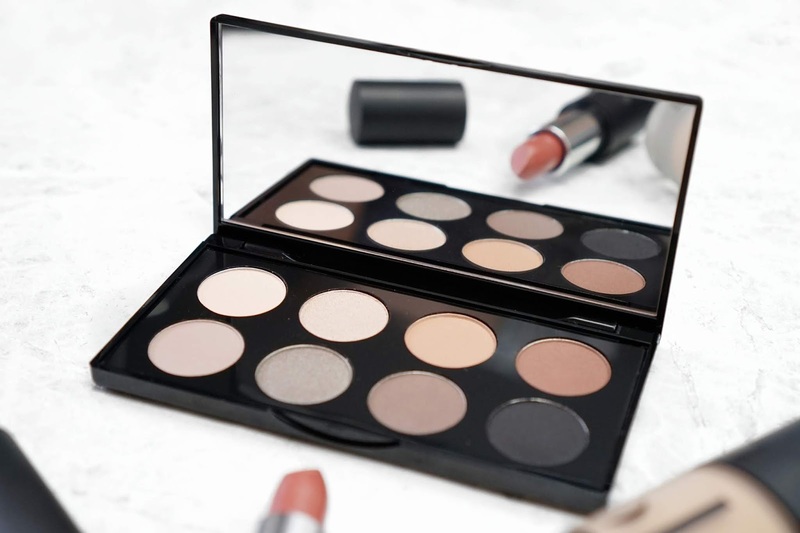 It's very versatile and has everything I need in a palette so taking just this one with me when travelling is absolutely fine. The final step to finish off my full face of makeup is the lipstick. For my lips I used the Glo Skin Beauty Lipstick in the shade Glaze. The lipstick is meant to be packed with colour, longlasting and nourishing by containing Vitamins A, C, E and Green Tea, plus Titanium Dioxide which protects from UV light. Well, I can tell you the lipstick does not disappoint! I love the way it glides onto my lips and is definitely full of colour! The lipstick comes in luxury packaging made of a metal casing with magnetic closure. The texture of the lipstick is creamy yet it has a matte finish, but does not dry out too much throughout the day. You can wear the lipstick as is or add a little gloss is you prefer a shiny finish. Another great thing about this lipstick is that it is quite buildable, allowing you to wear it sheer or more bold, intense look. Overall I am very impressed and so glad I got to try Glo Skin Beauty. 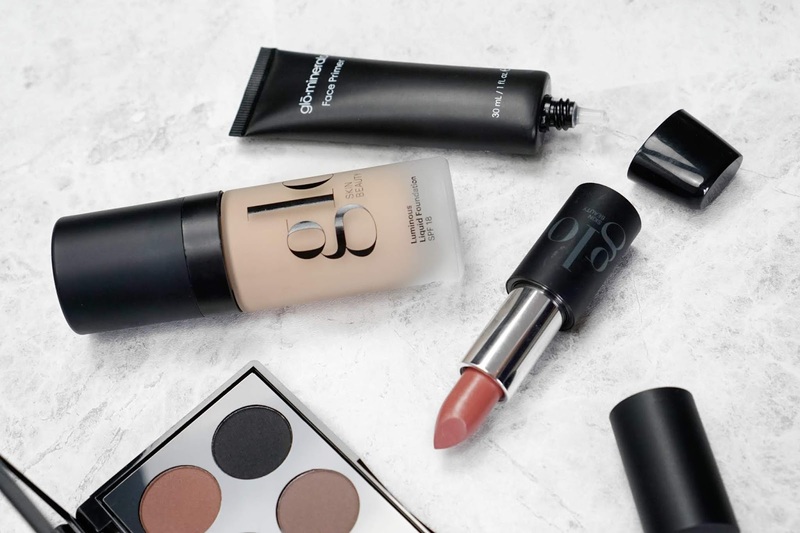 A big plus for me is that their products consist of mineral makeup and are cruelty free, but I am also very impressed with the quality of the makeup and the luxurious feel of the packaging. Glo Skin Beauty has definitely done the right thing with rebranding because their items look stunning! Another great thing is that the products are talc free, which is particularly noticeable with the texture of the eyeshadows. The foundation and lipstick especially are super long lasting and feel so lush. 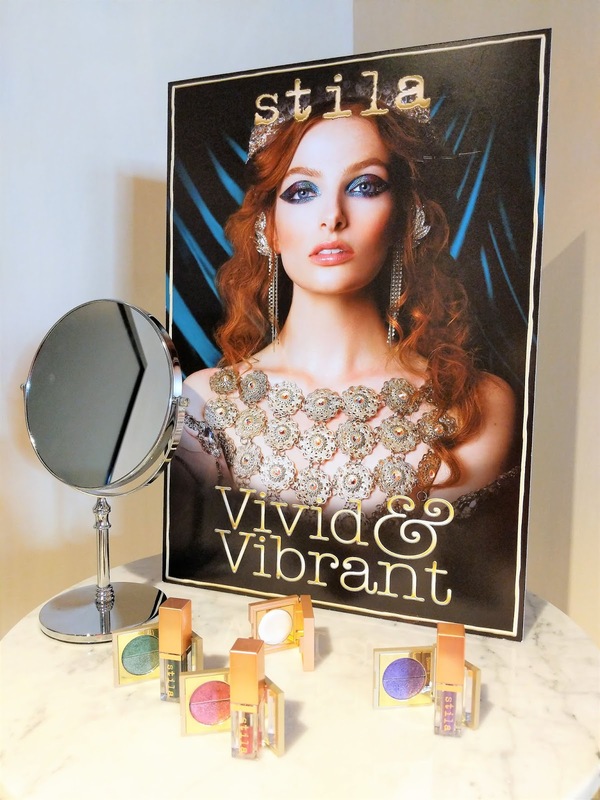 The price of the products is very reasonable and comparable with luxury makeup brands like Charlotte Tilbury. I know this can be on the expensive side for some, however the quality makes it more than worth it and I would definitely consider restocking when I run out. 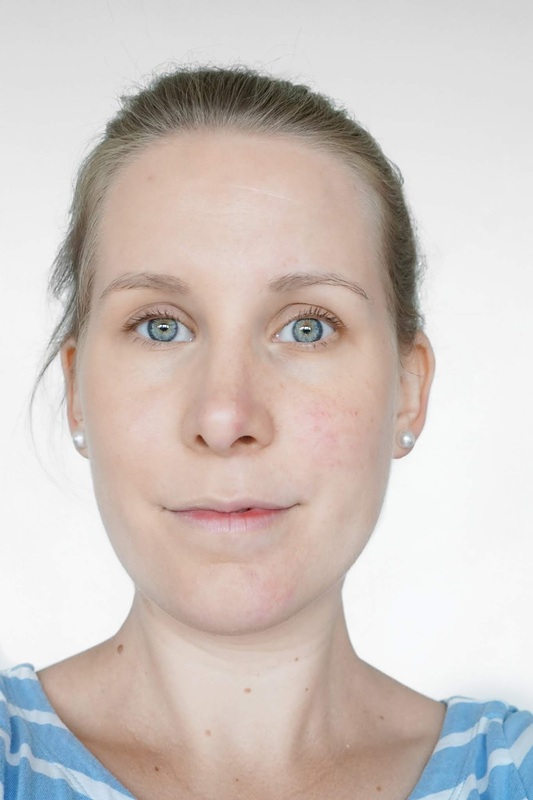 The only item that worked less well for me is the primer, but that is mainly to do with it being a silicone based primer which I find does not suit my skin. I should have been more careful when I ordered that really! So not really any criticism from me there, rather a personal preference. 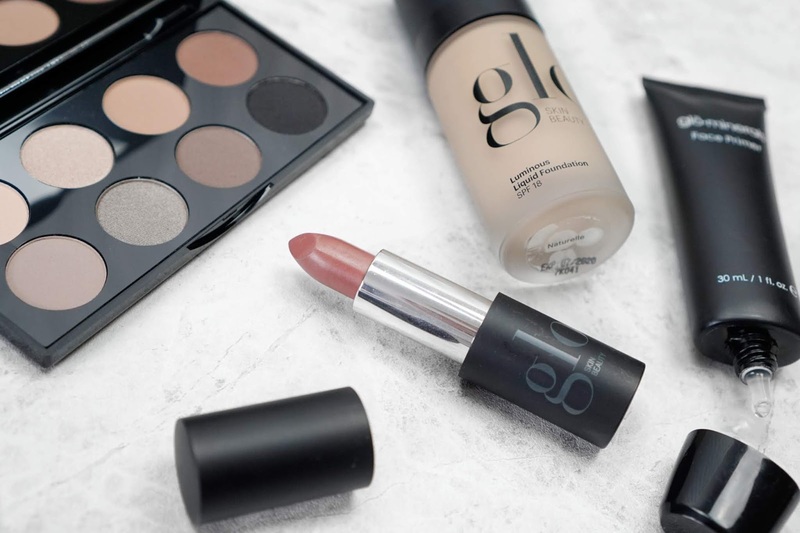 If you are looking for good quality, mineral makeup as an extension to your skincare routine, and you're happy to spend some money on it, I would definitely recommend giving Glo Skin Beauty a try! I hope you enjoyed this last part of the Skincare to Makeup series, thank you so much for reading!